C.J. 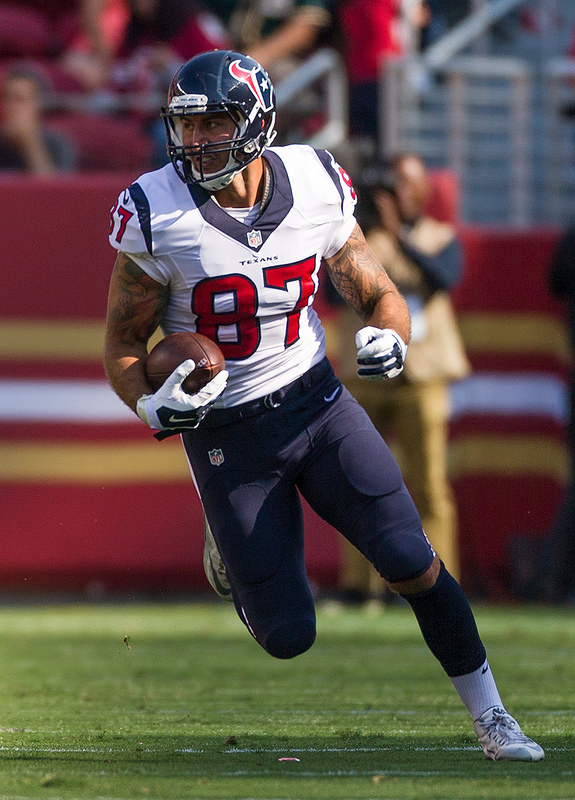 Fiedorowicz won’t return to today’s Texans-Titans game. He sustained a concussion, Aaron Wilson of the Houston Chronicle reports (on Twitter). This is the veteran tight end’s third this season. Fiedororwicz left the game in the first half. He suited up for his fifth game of the season on Sunday and fourth since coming off the Texans’ IR. But considering the frequency of these injuries, it would not be surprising to see the 26-year-old pass-catcher shelved for the remainder of the season. Fiedorowicz went on IR for a concussion sustained in Week 1, but he also suffered a head injury during the preseason. Despite missing two months of action, the fourth-year tight end’s troubles avoiding these damaging blows have persisted. The Texans signed Fiedorowicz to a three-year, $21.5MM extension this offseason — with $10MM guaranteed. Forget how many fingers do i have up…..can u still spell your last name…? Needs to be shut down for the season.